The study itself, if it is accurate, simply indicates that in the period after Snowden’s disclosures, various Islamist groups, including Al Qaeda, apparently began using three types of encryption software that had not been previously used. Before Snowden’s disclosures, these groups had already implemented two types of encryption software. “Of course, this could be random, but it seems unlikely,” wrote Christopher Ahlberg, CEO of Recorded Future, in an email to the New York Times. Despite its flimsy factual foundations, the allegation that Snowden’s disclosures have aided Al Qaeda continues to echo throughout the establishment media. In any event, whether or not Snowden’s revelations of government crimes against the US Constitution and the American people tipped off Al Qaeda is beside the point. The clear implication of Baker’s argument, which is echoed by virtually all intelligence officials, politicians and media pundits who attack Snowden, is that, in the interests of a supposed “war on terror,” the Bill of Rights should be scrapped and some form of dictatorship established. In his article, Baker conceals his own background and bias from his readers. What he does not tell his readers—but what one can learn by visiting Wikipedia—is that Baker is a former general counsel of the National Security Agency (1992–1994). He has held various other positions over the years within the military-intelligence apparatus, and was appointed by George W. Bush as assistant secretary to the newly formed Department of Homeland Security. As far as his accusations that Snowden helped Al Qaeda are concerned, the word “hypocrisy” does not seem strong enough. Snowden is being denounced for aiding Al Qaeda on behalf of a political establishment that, in fact, has a long history of providing weapons, finances, and intelligence to Al Qaeda and its affiliates throughout the world. In the Syrian civil war, stoked up by Washington, the CIA has operated training camps for Al Qaeda-linked fighters in Turkey and Jordan. Through these countries, the US has funneled weapons and finances to the Islamist fighters (see: ISIS: The jihadist movement stamped “Made in America”). Thanks to the American “war on terror,” Al Qaeda offshoot ISIS (Islamic State of Iraq and Syria) has established its own sectarian state purporting to be a caliphate stretching across vast swathes of western Iraq and eastern Syria. If supporting Al Qaeda is a crime, then it is necessary to prosecute not Snowden, but tens of thousands of personnel within the American military-corporate-intelligence complex, beginning with those who helped organize Al Qaeda in the 1980s during the Soviet war in Afghanistan, all the way through to those who built up Al Qaeda and its affiliated forces in Syria, Libya and elsewhere in recent years. The “study” itself proves nothing. There is absolutely no evidence that Snowden directly or indirectly assisted Al Qaeda in any way. The study merely purports to show that a list of groups (not limited to Al Qaeda) began using different encryption methods in the time period after Snowden’s revelations. The accusation that Snowden “aided Al Qaeda” mirrors the “aiding the enemy” charges against Bradley Manning (see: US government charges Manning with “aiding the enemy” in court martial). Baker’s article is evidence that this bogus theory would be invoked against Snowden, should he ever find himself in the clutches of the American judicial system. The media campaign to confuse the issues surrounding Snowden’s disclosures is acquiring a note of hysteria and desperation. The claim that Snowden is growing “harder to defend” turns reality on its head. In fact, it is the US military and intelligence apparatus, caught in countless lies and violations of law, that is being exposed as a criminal operation. Snowden continues to enjoy broad support throughout the world. The statement that Snowden is “harder to defend” comes on the heels of revelations, derived from documents disclosed by Snowden, concerning the close intelligence relationship between the United States and Israel (see: New Snowden leak highlights collaboration between NSA and Israeli intelligence). In addition, Glenn Greenwald reported this week that over 40 percent of the 680,000 people on the US government’s “Terrorist Screening Database” have “no recognized terrorist affiliation” (see: US terror list ensnares hundreds of thousands). 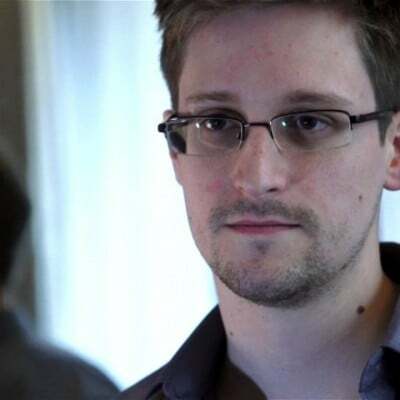 Documents disclosed to journalists in May of last year by Edward Snowden exposed a massive conspiracy on the part of the National Security Agency against the US Constitution and against the world’s population. Snowden lifted the lid on unrestrained and illegal mass surveillance, caught president Obama and senior officials in lies, and exposed the so-called “war on terror” as a fraud. In doing so, he performed an invaluable service to working people in the US and around the world. In the upside-down world of establishment America, it is Snowden (who became trapped in Russia when the US unilaterally revoked his passport) who is being hounded and threatened with prosecution. The actual criminals that Snowden exposed remain at large.